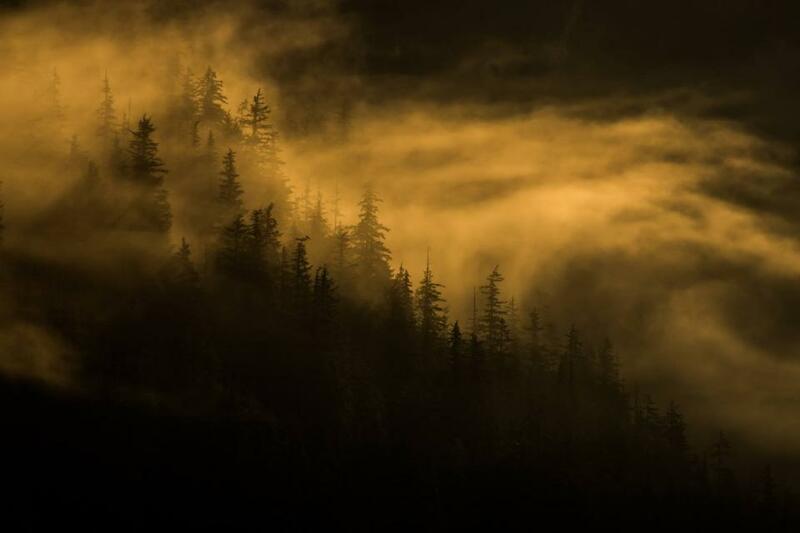 This photo was made on an early morning in the wilderness of southeast Alaska. The sun had just come up over a ridge, and bathed the lower hills in warm light. I love these times of the day, when the light is so dramatic, and casts wide shadows. I made this photography with a Canon 6D Mark ii and a Canon 100-400mm IS ii lens.